Stay downtown on the historic downtown mall of Charlottesville at the unhotel – The Townsman. 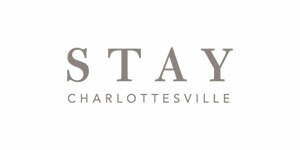 The Townsman is the newest concept among Charlottesville, VA, hotels. In fact, it’s so unique, they call it the unhotel. Their four individually themed rooms give you a one-of-a-kind experience each time you visit. Instead of charging you for things you’ll never use, they’ve pared themselves down to the essentials: incredible location; beautiful rooms; and great prices. Where to go? This particular package includes a 5 hour tour of the area’s wine country visiting vineyards of your choice. Once booked, our knowledgable guide will contact you and help set up your tour of Virginia’s wine country. *Price includes early check-in when available. Availability may vary. We recommend booking as far in advance as possible. If the tour does not have reservations prior to one week before the scheduled tour date, the tour may be cancelled.